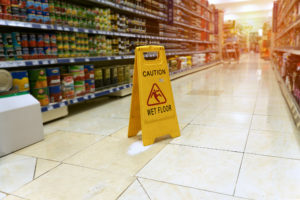 The sad truth is that slip and fall accidents happen every day. While they sometimes happen and no one is to blame, in other cases they happen in public places where someone was at fault. If you have been injured in a slip and fall accident, you may have grounds to file a personal injury lawsuit. You can read on to learn the six things to do after your accident, or you can contact Law Offices of Michael A. Kahn at (310) 209-1600 now for a free legal consultation. All accidents are different and whether you need to visit your doctor or the emergency room will depend on the type and seriousness of your injury, as well as your age and your health. However, you should always seek medical help. In some cases, injuries are not clear right away. In others, they can get much worse in a short time. See a doctor right away to stay safe and to have a record of your injuries. If you are injured then you need a police report. The police will take your statement, talk to the owner of the property and any witnesses, and will document the scene. They can find hazards or code violations that led to the accident. Photos are essential evidence in a slip and fall case. No matter what the owner of the property may tell you, you have every right to document your accident with both photos and videos. Document the place it happened, hazards that led to the fall, and anything else that may be relevant. If you are working with a personal injury attorney, this will be part of our job. We will gather evidence such as proof of your lost wages, video surveillance that may have been taken, copies of your medical bills, history of code violations at the scene of the accident, and other relevant evidence. This step also involves talking to witnesses. It’s wise to write a detailed description of what happened and to then update it as time goes on. Keep track of all medical appointments, pain levels, missed work, and other facts. If you believe that another party was wholly or partially responsible for your fall then they should be held accountable. As a citizen, you do not have the ability to press criminal charges but you may be able to hold them civilly responsible. The best way to find out what your options are is to contact Law Offices of Michael A. Kahn at (310) 209-1600. We are here to use our experience to help you achieve the best possible results with your case.